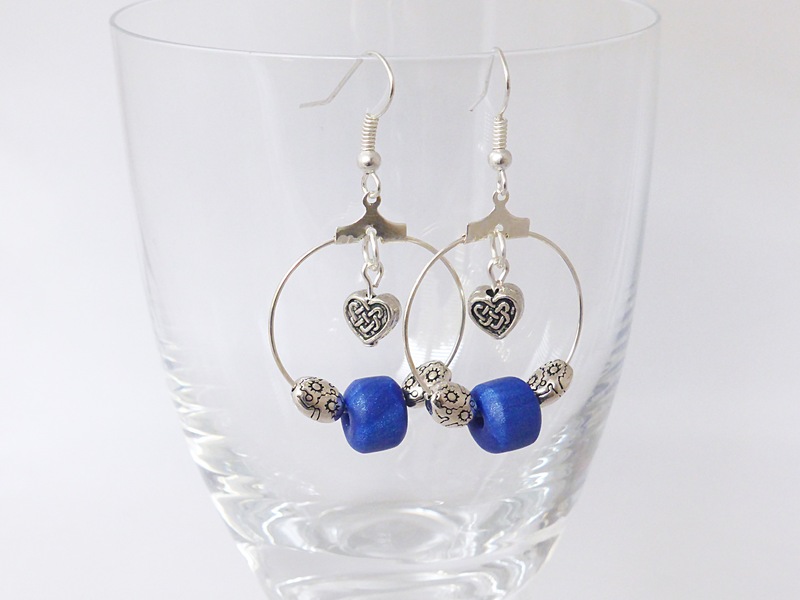 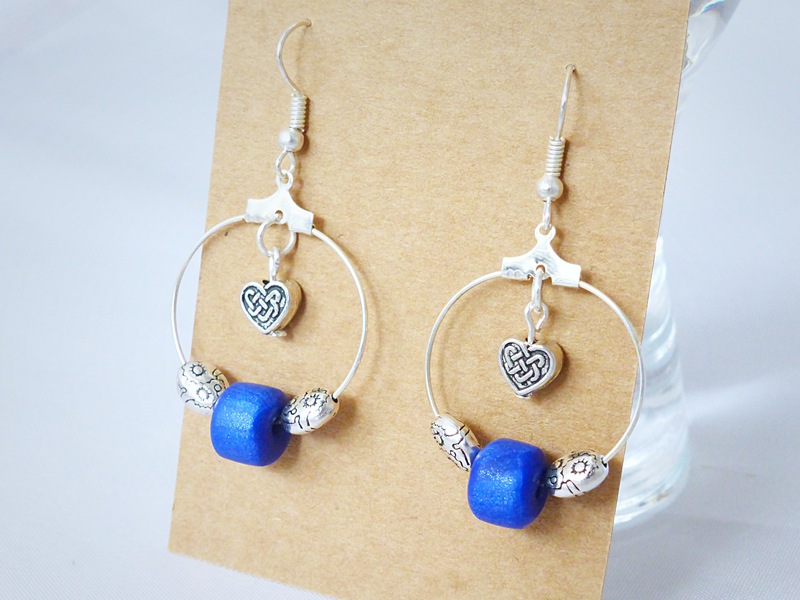 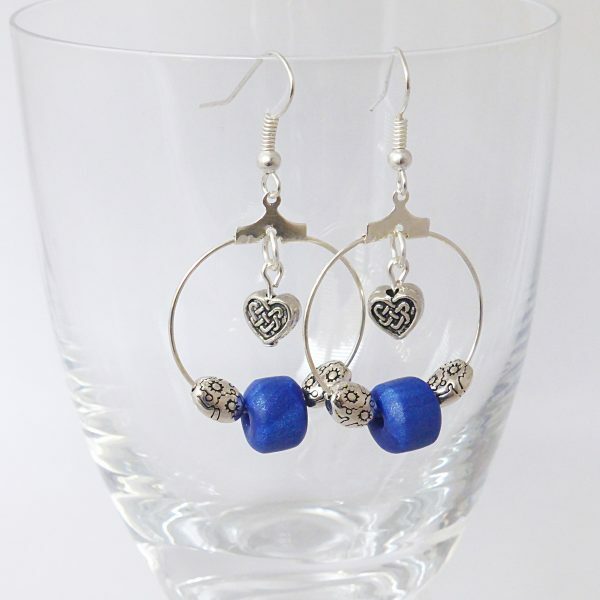 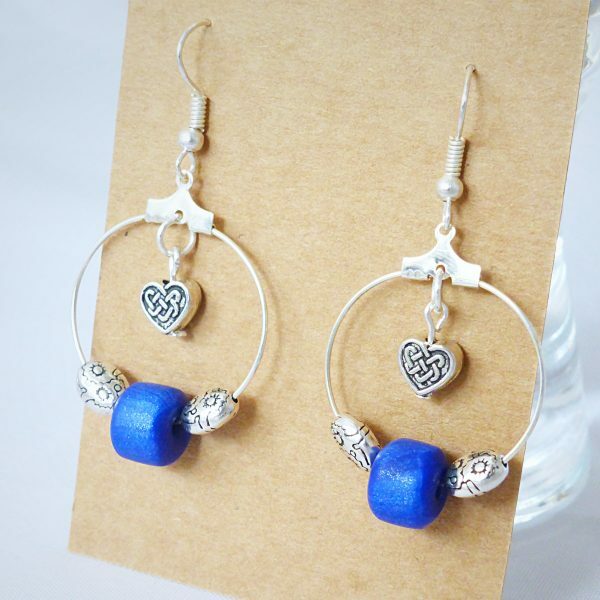 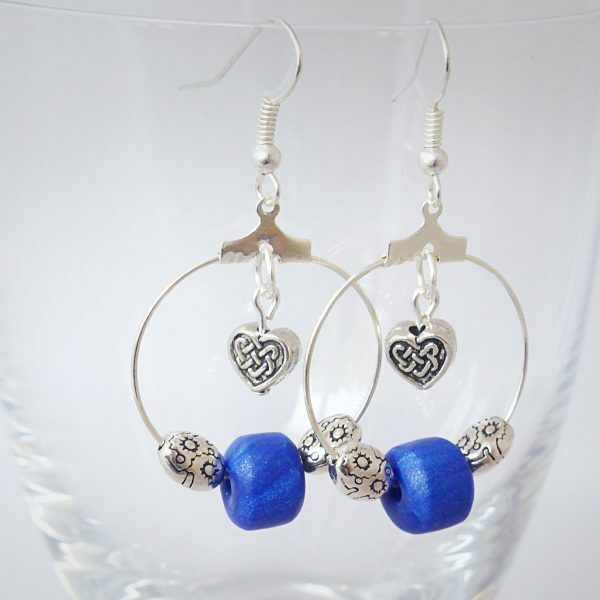 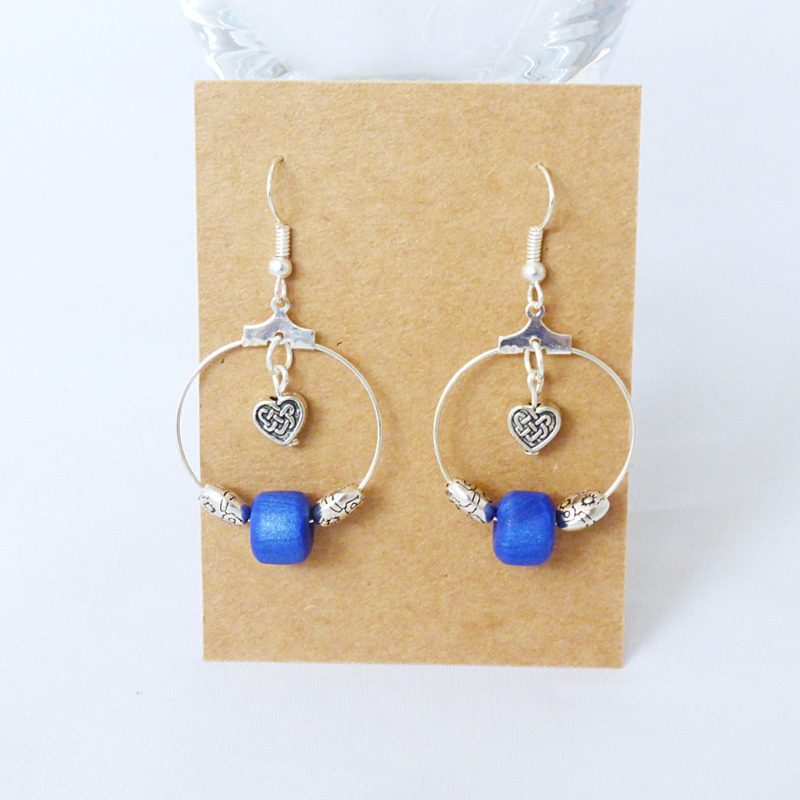 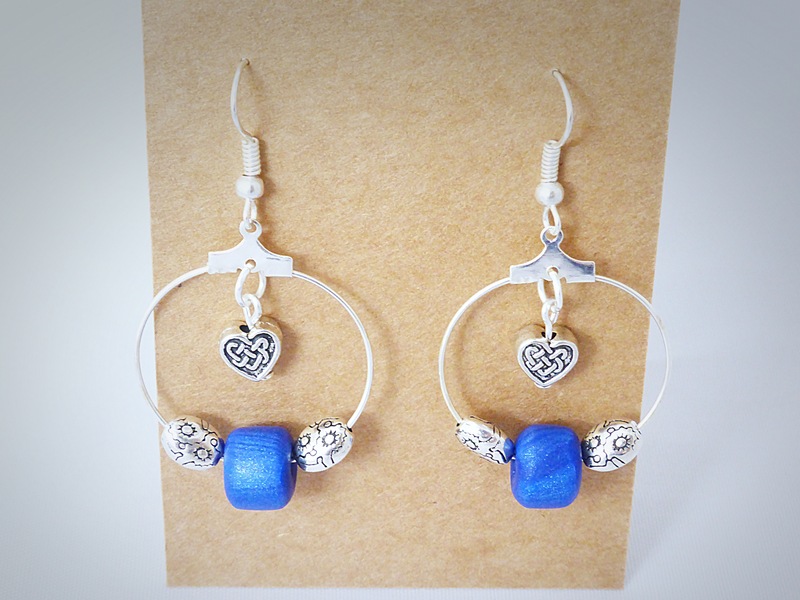 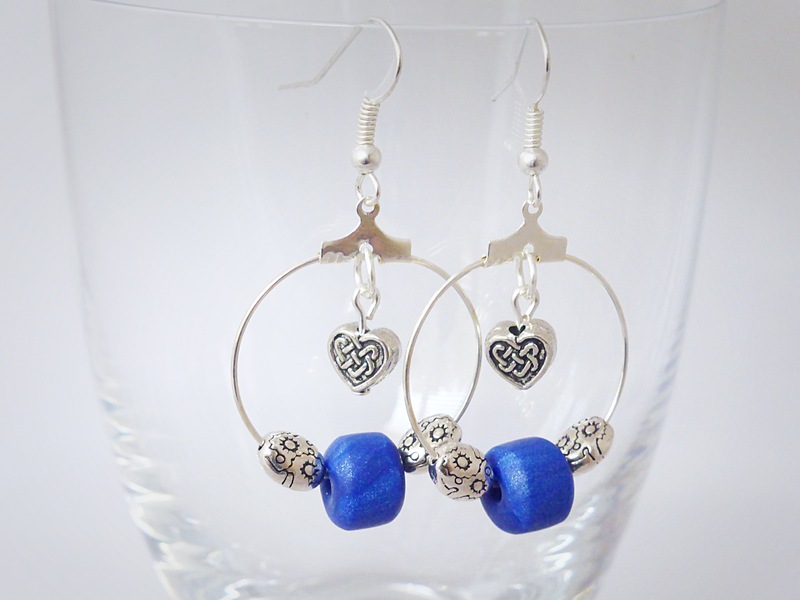 Dangly hoop earrings with a shimmery blue hand rolled bead. 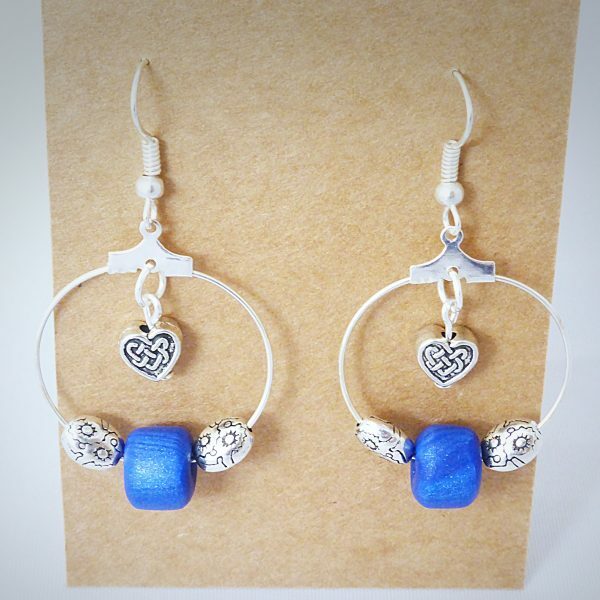 Features Tibetan silver spacer beads, and heart charms. 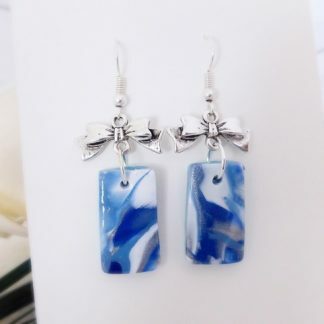 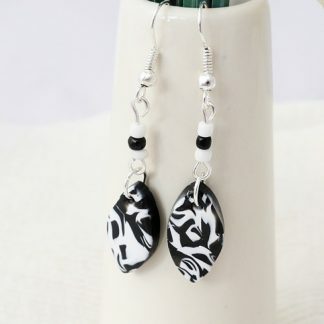 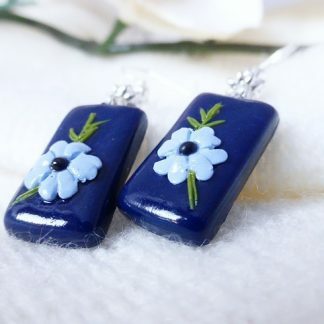 A beautiful pair of earrings for any occasion.